The 123ezy Create-Send Automatic Response Marketing System (ARMS) enables you to capture the details of prospective vendors as well as supply them with information they’re looking for. The best way to demonstrate it is to show you how we do it! Enter your details below and receive instant information about ARMS as well as all aspects of your digital strategy. 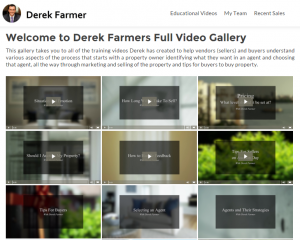 Derek Farmer, our showcase real estate agent uses the ARMS system to drip feed educational training videos about real estate selling and buying to his subscribers.